Provide comfort for the family of Joseph Kitchen with a meaningful gesture of sympathy. 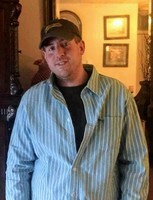 Joseph Patrick Kitchen,33, of Fall River Massachusetts died unexpectedly on March 24th 2019 Joseph was the son of the late John Thomas Kitchen and is survived by Mother Janet Ann Kitchen. Joseph was also the grandson of the late Ruth T. Enos and Robert Enos. Joseph is also survived by His Aunt Marilyn Hayes as well as Paul Enos as well as the late Robert J. Enos, Nancy Savitch-Enos and Joseph Savitch. Many cousins also survive Joseph. There is Bethany Ulicnik, Tiara Victoria Savitch, Daniel Furtado, Adam Furtado as well as the late Joseph Hayes. Also amongst his family are the next Generation and therefore he was "Uncle Joe" to Kyrsten Elizabeth Casey, Macknezy Ann Casey,Haleigh Beth Ulicnik, Kylie Jean Letherman, Savvanah Michelle Ulicnik and Benjamin Bradley Savitch. Joseph was a kind and caring and a loving family member and friend who had such a unique character and spirit, added with his abundance of humor is the cause of this being a tragedy. He will be missed by many and will be perpetually with us in love, light and spirit. Always in our hearts.Services will be at Solomons Porch on 145 Globe Street Fall River, Mass at 630pm on Wednesday April 10th 2019 Food and Fellowship will follow at the AmVet on Danforth Street also in Fall River.